The blue Santa’s hat was designed for people who’d like a little change to the standard Santa image, as well as for companies who’d thus like to highlight their logo. 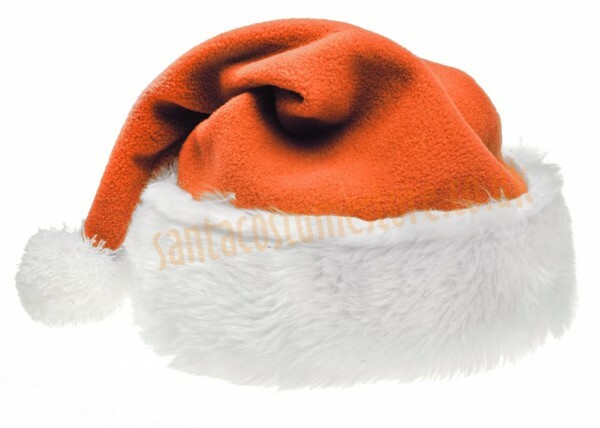 Santa’s Hat - made of soft, thick fleece and trimmed with smart white faux fur (1" (2 cm) pile), topped with an impressive and fluffy 3" (7 cm) pompon. This hat is included in the blue Santa suit, but you can also buy it separately. PANTONE® CODE: In the Pantone® Fashion, Home & Interiors colour chart, this hat's colour is given as 18-3949 TPG.